Your website should speak articulately about your business and what all services or products you offer, so the customers know they've come to the right page. Your company logo and colours promote awareness and build trust. Hence, make sure all these elements are included when you seek the assistance of professional web design company. 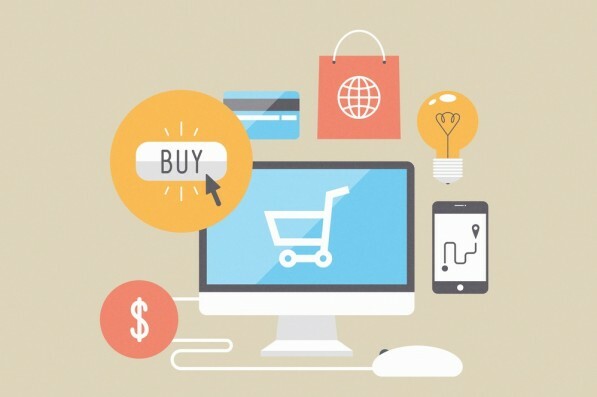 The prime aim of your e-commerce website is to drive customers to conversion. Thus, everything about your e-commerce website design should be user-centric. These days online buyers have become pretty savvy, you still have to make up for the fact that visitors cannot touch or inter-relate with your products in real. Hence, ensure high-quality multiple product images, customer review section and expert recommendations from third-party sources are integrated in your website as it will certainly help you in making your customer online experience much better. Do you know why people love to shop on Amazon? Well, the website is incredibly simple to use. There are multiple ways to find what you are seeking and the purchasing process is absolutely intuitive. While you possibly may not have that much of funds to build as sophisticated a portal as they have, but you can make the most out of what you do have. Invest in robust functionality and avoid complicating things with integration of pointless attributes. Invest in robust software that enables you to seamlessly integrate online, retail, and mobile payment gateways into a single system. Besides, your shopping cart should empower your buyers to select multiple items showcased on website and pay for them with just few clicks. Make the entire point of sale process completely intuitive, so as to eliminate any chance of customer confusion. E-commerce store-front will certainly thrive more in coming future due to fast-growing market in the emerging digital world. Giving consideration to above-mentioned fundamentals will definitely help you in creating a strong foundation on the digital platform. Want to garner business opportunities available online? Get in touch with our expert Web Design Team based in Aberdeen to develop an aesthetically-pleasing and user-friendly site that help you improve your conversion rate.